In a Nutshell: When it comes to building an interoperable ecosystem for mobile payments, the US lags far behind China. Last year, more than 1 billion Chinese consumers transacted more than $3 trillion using nothing but their phones and QR codes. The straightforward process leverages China’s simpler fee structure, saving businesses money and allowing them to offer consumers more compelling incentives to use their phones at checkout. Meanwhile, US consumers seem content using older POS systems and credit cards. But Omnyway hopes to change all of that. 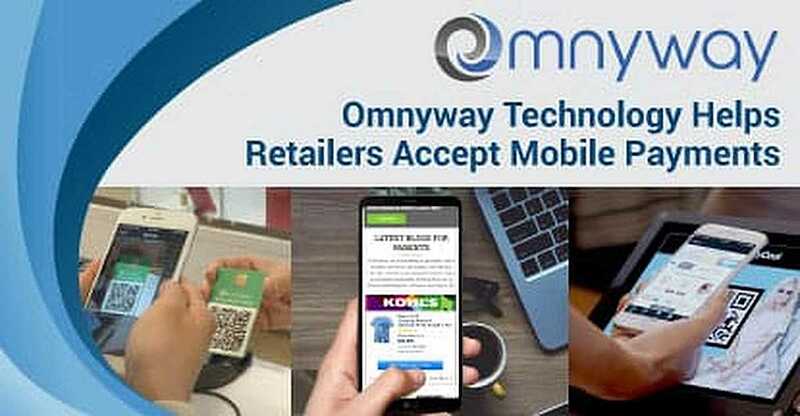 The mobile-first Omnyway Platform bridges legacy structures to enable retailers to unify payments and promotions without the need for costly technology reinvestment. China is rapidly evolving into a cashless society, but, of course, that hasn’t always been the case. In fact, until Alipay and WeChat Pay — now the largest mobile payment platforms — entered the scene, tradition-minded Chinese consumers generally regarded cash a more trustworthy option than credit and debit cards. As internet access in China picked up in the late 1990s, Alibaba emerged as the country’s leading e-commerce destination. On its way to becoming the largest retailer in the world, Alibaba introduced Alipay in 2004 as a way to make buying and selling on its platform easier. Alipay claims more than 500 million active users and counting. WeChat Pay grew out of massive Chinese adoption of the WeChat messaging service, which got its start in 2010. By 2012, WeChat had evolved into China’s leading social media platform, and, in 2013, it integrated its payment service, which claims more than 800 million active users. Both Alipay and WeChat Pay owe their success to the explosion of mobile device usage in China. Since 2012, China has had more mobile users than any other country, and, as of 2018, more than 1.5 billion Chinese had mobile service. Amitaabh Malhotra, CMO at Omnyway, explained the global payments trends his company has seen. But there’s more to it than that. 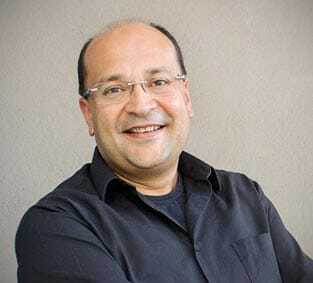 As Amitaabh Malhotra, Chief Marketing Officer for mobile commerce platform Omnyway, puts it, Alipay and WeChat Pay have evolved into “superapps” that handle much more than exchanging money. Moreover, the fees associated with Alipay and WeChat Pay transactions are negligible because there are fewer intermediaries in the Chinese system compared to the credit-card-based system in the US. And that means more space for cross-linking rewards and promotions between multiple parts of the platform. Because both merchants and consumers win, the platforms just keep growing. Omnyway seeks to bridge the gap between current POS technology and mobile payment adoption. Through its platform, retailers can deliver a mobile experience that combines payments, promotions, and rewards to engage consumers and increase app usage. The checkout process is simplified for consumers, and retailers don’t have to splurge on new POS systems to cash in on mobile commerce. In the US, payment platforms like Apple Pay, Samsung Pay, and Google Pay languish with active users numbering only in the tens of millions and sporadic merchant adoption. Examining why that’s the case also illustrates why US retailers, banks, and consumers need to know about Omnyway. First, Malhotra said, as the Chinese mobile marketplace took shape in the 2010s, it did not have to account for the highly involved financial infrastructure that exists in the US. Here, payments are built around an antiquated model that includes the acquiring and issuing banks, the card network, the merchant, and the consumer. Second, Alipay and WeChat Pay are simple. Unlike the major US payment services, they use QR codes to identify all the parties in a transaction. Apple, Samsung, and Google use technology based on near-field communication (NFC) protocol. Not only is NFC unfamiliar to consumers, it requires merchants to invest in new hardware to make it work. That simplicity leads to a more straightforward and streamlined checkout process. The Omnyway Platform provides that simplified backend infrastructure that lets any retailer integrate rewards and other services into their own app, working within existing financial and POS infrastructure to encourage shoppers to use its mobile phone for all aspects of their purchasing journey. On behalf of retailers, banks, and brands, Omnyway powers a contextual form of digital commerce that creates a dynamic connection between the retailer and the shopper across all channels of interaction, from walking store aisles to browsing products online. 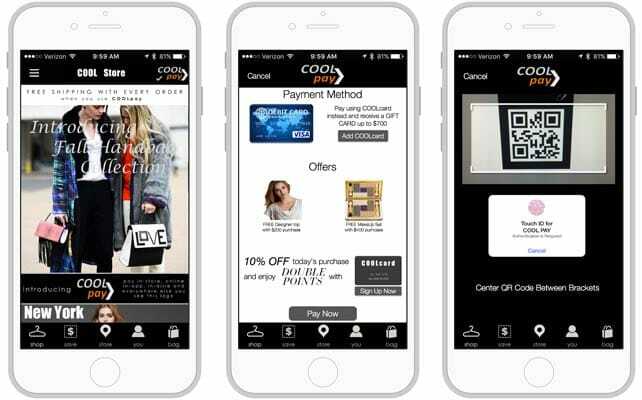 The Omnyway Platform allows retailers and other brands to customize the look and feel of the app to offer customers loyalty rewards and payment methods. 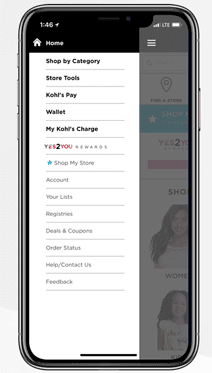 Within its own app, Kohl’s department store uses the Omnyway Platform to power its Kohl’s Pay service. The customer first authenticates his or her Kohl’s credit account in the app. Then, in the store, items scanned for purchase appear in the app. To pay, the customer scans a QR code generated by the Kohl’s payment keypad and applies any offers associated with the items along with any accumulated rewards, which are always stored in the app no matter where the transaction takes place. In the US, some companies have found ways to circumvent the infrastructural and technological obstacles faced by Apple, Samsung, and Google. In the most successful examples, these companies’ apps are store-specific and not designed for broader use. For example, the Starbucks app was designed to make the Starbucks loyalty program easier to distribute to users. However, it’s grown into a one-stop payment shop for handling all the consumer’s business with Starbucks, including gifting, Malhotra said. To complete a transaction, the Starbucks POS scans a code on the customer’s phone, which is linked to the customer’s loyalty card and loaded with funds from the customer’s preferred payment method. Last year, Target combined its savings app, Cartwheel, with its main shopping app before adding wallet functionality. The move combined scanning a barcode for payment with the familiar scan for Cartwheel offers, which speeds up checkout for users. The ride-hailing service Uber does something similar by integrating all aspects of hiring a driver and earning rewards into an app that circumvents traditional POS-type transactions. With the Uber app, payment and rewards occur automatically at the end of each ride, which means consumers enjoy a hassle-free experience. Omnyway is beginning to build out other aspects of its business to extend its reach into social commerce that will enable US retailers to transact business with visiting Chinese consumers. Another Omnyway service, Zapbuy, turns all digital ads into points of commerce via a one-click buying experience. Each Omnyway service combines to accomplish what Apple, Samsung, and Google have not — to give consumers a reason to leave their credit cards and cash at home, without forcing retailers to invest in infrastructure by circumventing the current payment model in the US. Omnyway, then, is helping to pioneer an American-style form of social commerce built around mobile-first unification. “Our goal — and we’re well on our way — is to enable pretty much any payment type or e-commerce platform that wants to work outside of the rails of what a conventional POS transaction looks like,” Malhotra said.